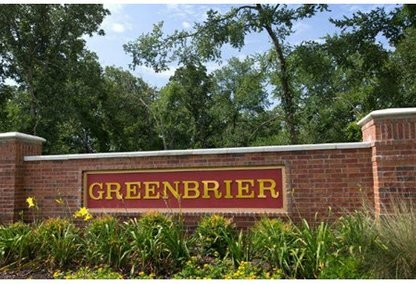 Greenbrier residential community is planned for over 400 homes on 200 acres in a prime location. Homeowners seeking the comfort of a master planned subdivision with wooded home sites will also appreciate the area amenities. Miramont Country Club, greenbelts, walking/jogging trails, parks, convenience to shopping and close proximity to private and public schools.